You deserve to have good coffee at the beginning of a busy day, this handy, single-serve coffee mill/dripper are designed to bring you freshest coffee from grinding the coffee beans to drip out the coffee in one time. 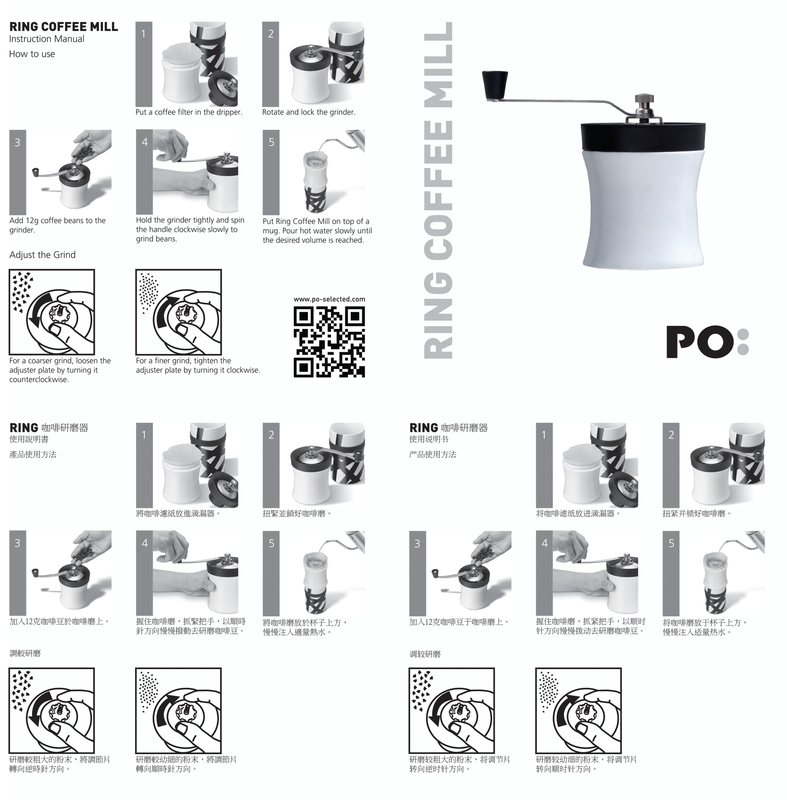 With the ceramic grinder and porcelain dripper, the Ring Coffee Mill allows you to grind around 12-15 grams of coffee beans out of its reservoir which is perfect for one cup of coffee. No more worry about taste change of your coffee powder and storage of coffee making device anymore.